I LOVE her designs. So affordable for the templates and they are so easy to personalize. 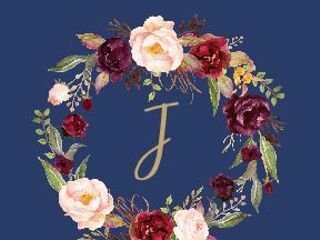 I found a navy blue and gold collection that matched my wedding colors and was able to make save the dates, RSVPS, detail cards, invites, favor tags, and thank yous that all matched! I’m a very happy bride-to-be!! Willing to work with me on time line. Awesome experience. Rebecca is very talented and I am so glad I am able to use her designs for my wedding! I needed a matching Save the Date card and within 48 hours, she had one created and sent:) I appreciate her making me a priority! We are working on it and glad we found this wonderful company. Our daughter loves her invitations and the design. Perfect! Easy to edit, but honestly didn't need to edit the invitations much more than adding in my own personal information because they were so perfect! 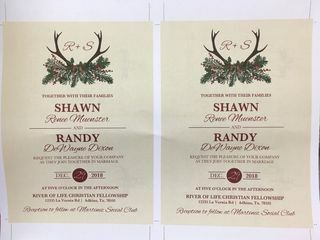 Absolutely loved my wedding invitations and RSVP's from Hadley Designs! 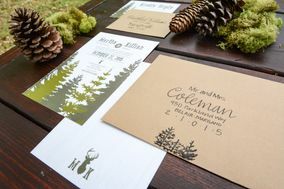 I used Hadley Designs for my wedding invitations, rsvp cards, detail cards and place card holders. 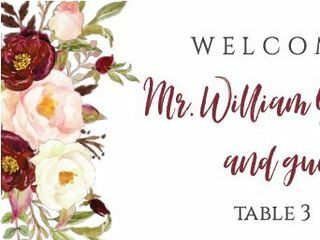 The invitations were set up so easily that we could add our own details. Downloading and editing was a piece of cake!!! I would definitely recommend anyone that needs beautifully designed invitations to buy through Hadley designs! Hadley’s Designs was great!! The printables were available once I made order! And it came in 3 different sizes so there was multiple options to choose from! The quality was amazing and looked perfect!! I’m so exited to use this for my big day! Love Becca and her work, I plan on doing business with her always, very prompt and beautiful work. She is gifted! Hadley was wonderful to work with! 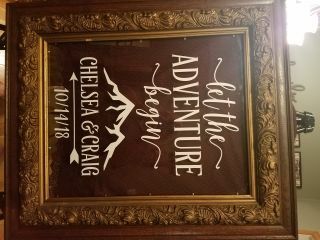 She answered all questions, responded quickly and helped me design the perfect sign for my wedding. I will definitely recommend her to friends/future brides. I purchased wedding advice cards from Hadley Designs, and I love how they came out! They were so easy to download and print. Everyone commented on how unique they were and loved the fun design! It gave guests a fun activity to do while also giving us a wonderful keepsake. I highly recommend! Super easy to use! I LOVE my template that I ordered! It's so easy to do, greatly priced, & beautiful templates! Highly recommend! Hadley Designs was amazing to work with! The templates are gorgeous and easy to alter! 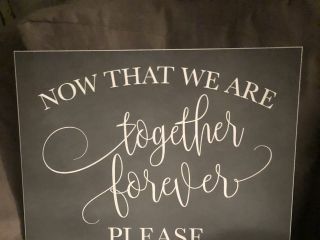 Becca’s sit where-ever sign was exactly what we were looking for for our wedding! And it came in multiple sizes which is exactly what we needed! We’ll continue to go to Hadley Designs for all of our needs. Hadley Designs are one of kind! They are easy to work with and super gorgeous! Very inexpensive as well and will be such a hit at my upcoming wedding! I am super glad I went with her designs! Love them!!! I'm so excited to use these at my wedding! I was looking for a specific program with Navy Blue and Burgandy/Eggplant colors. I was able to find the cutest one on Etsy from Hadley Designs. My favorite part was that when I emailed the shop they had the option to type in the information on a free template so that I could see exactly what it looked liked before I ordered and paid for it. Great idea! Loved them! Great service!! I had made a small mistake when explaining what I wanted and once I got sent the proof I noticed right away. I let the shop know, it was fixed and I was sent another proof shortly. Got my package in record time! Would definitely recommend. I absolutely love my wedding program template that I ordered from Hadley Designs! 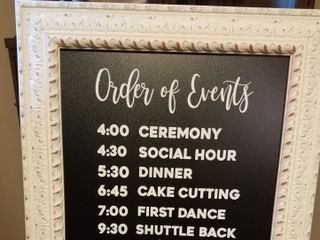 They were easy to download, easy to edit, and easy to upload and print - it made one of my many wedding to-do items stress-free and fun!